When checking the archives I noted that Ella had run a ‘vintage season’ from time to time, and illustrated historic naturism with what was do-able in vintage looking SL sims. It was and remains a good idea so I’m going to run a 2019 vintage season over five lengthy posts. We’re going to travel back in time to when naturism was defined by beach balls, and a lack of silicone, razors and tattoos, a time when it all looks terribly spartan in terms of ‘home comforts’ regarding facilities. 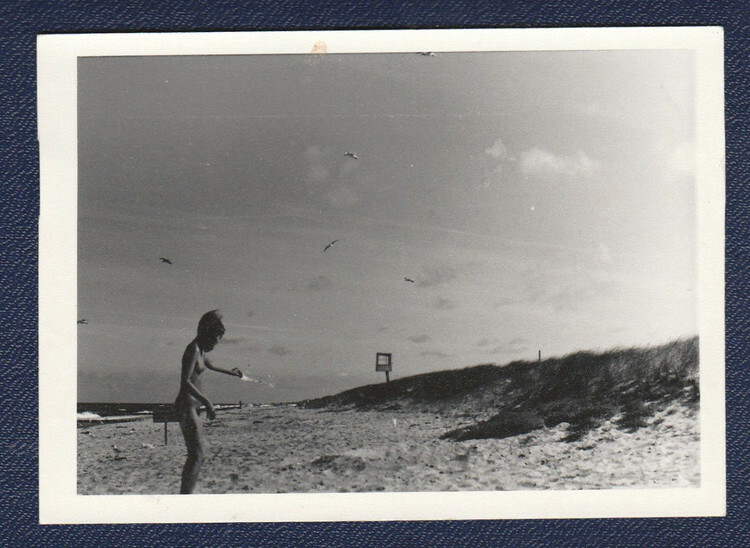 I’ll let this post speak for itself right now, and pick up a commentary on historic pictorial naturism in subsequent posts for this vintage season. ← Sexually active too early? Fantastic older nudist pics. The older color 3 way was way cool too, shows this type of activity has been being enjoyed by some for years. It’s wonderful to see these pictures illustrating nudism from times gone by. It is a good thing to keep archives like this, it grounds the “movement” to times, places and persons. I would have retweeted it, but the content in pic 7 prevented me. Oops. What’s the 7th picture down doing in this line-up? GGW, Pic 7 now removed. I can only presume I’ve downloaded the wrong photo from a gallery, or that the thumbnail didn’t match the image that did download. I’m still quite new to this blogging thing, so that mistake slipped through quality control (slaps herself on the wrist). Thanks for that notification, Peter. Looks like I downloaded the wrong photo from a ‘wide ranging’ beach gallery. My apologies to everyone, and it’s a warning to be more careful in future (insert blushing face emoji here). Said offensive photo has been removed.